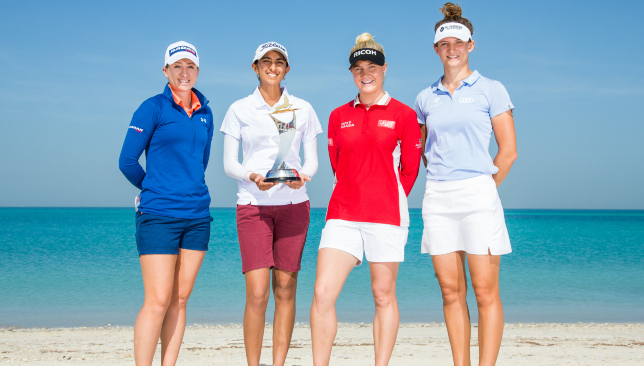 Great Britain’s Charley Hull is looking forward to teeing off a pivotal season when she makes her tournament debut at this week’s Fatima Bint Mubarak Ladies Open at Abu Dhabi’s Saadiyat Beach Golf Club. The 22-year-old will be joined by the likes of Jodi Ewart Shadoff, defending champion Aditi Ashok and Anne Van Dam during the third edition. Under the new format, 56 professional golfers will join forces with 56 amateurs to form team pairings from Thursday-Saturday – with an individual title also up for grabs. For Hull, she returns to action after a 2018 that featured a career-best three top-10 major finishes and begins a 2019 that should contain a fourth Solheim Cup appearance. “I think I am very close,” the world No24 replied when asked about what must change for her to land the sport’s grandest prizes. “I had three top-10s at the majors, plus a second, a third and another sixth at another event. “I was in the top 20, regularly. I was very consistent. Hull became the youngest competitor to participate in the Solheim, aged 17, when Europe emerged victorious in 2013. The United States have, however, claimed the last two editions. This is a state of play the Kettering native wants to correct at Gleneagles from September 13-15. She said: “It’s going to be in the UK this year, so I think it’s going to be a lot of fun. After a solid pre-season back home, Hull is embracing a pleasant start to the Ladies European Tour. 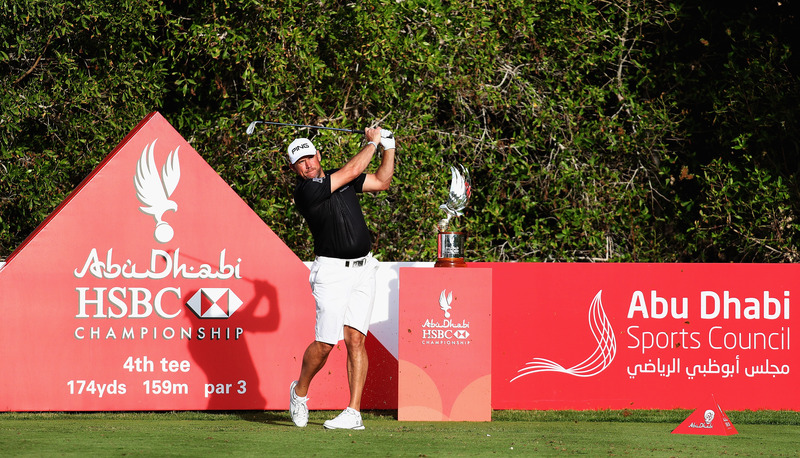 European Tour heroes Ian Poulter and Lee Westwood are the latest golfing superstars to enter the hunt for the prestigious Falcon Trophy at this year’s Abu Dhabi HSBC Championship. With a combined 60 victories between them, Poulter and Westwood have confirmed their appearance at the event, presented by EGA, which begins on 16thJanuary. The tournament is the first of eight Rolex Series events on the 2019 European Tour international schedule. First staged in 2006, The Abu Dhabi HSBC Championship presented by EGA is being hosted at the iconic Abu Dhabi Golf Club for the 14thconsecutive year from January 16th-19th. The tournament recently became part of the prestigious Rolex Series and with a prize fund now at US$7million (Dhs 25,700,000). 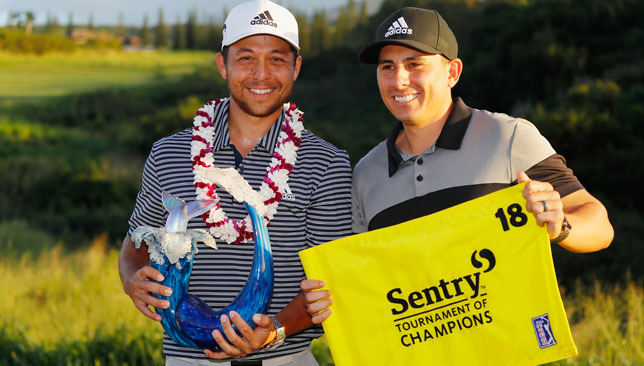 Xander Schauffele tied the course record with an 11-under 62 to win the Sentry Tournament of Champions. The American beat compatriot Gary Woodland by just one shot, having started the final day in Hawaii five shots adrift of the lead. Despite opening the fourth round with a bogey, Schauffele quickly recovered, firing eight birdies and two eagles on his way to victory. He finished with back-to-back birdies on the 17th and 18th holes to equal a record held by just four other players, and ended the tournament on 23 under overall. Woodland, who held a three-shot lead at the start of the day, carded a bogey-free round of 68, missing a chance on the final hole to force a playoff. Rory McIlroy – making his debut at the event which consists only of PGA Tour winners from the previous calendar year – had started the final round in second, but shot a disappointing 72 to finish tied for fourth. The Northern Irishman hit two birdies and a bogey, ending on 15 under overall alongside Dustin Johnson and Marc Leishman. Justin Thomas finished the week in third following nine birdies in his final round. Meanwhile, world number one Brooks Koepka shot his best round of the tournament, carding a four-under 69, but languished in 24th place. Ian Poulter dropped to 18th place after firing a 71, while fellow Englishman Paul Casey shot the same to end in joint 16th.